During yesterday’s Parliament sitting, the Minister for Manpower (MOM) Lim Swee Say answered a few questions raised on foreign workers, penalties and compensations of workplace accidents as well as employment initiatives. 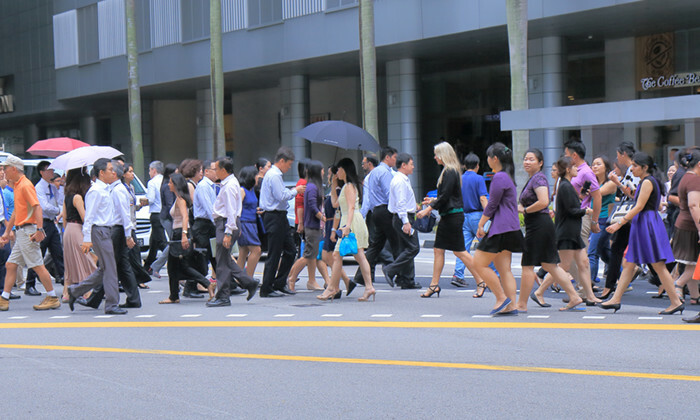 Lim said that there has been a stable decline in the number of illegal foreign workers in Singapore – from around 1,300 in 2014 to 550 in the first eight months of this year. Majorly from China, Bangladesh and India, these illegal workers were found mostly in the construction, food and beverage and other services sectors, in jobs like cleaners and stall assistants. Answering to Lee Bee Wah’s question, “whether the Ministry hands out brochures to foreign workers in their native language”, the Minister explained that MOM gives all foreign workers a handy guide in their native language when they first arrive to assist in adapting to working and living in Singapore. On top of providing practical advice on good hygiene practices, safe work practices and channels of assistance, the Minister mentioned how “the guide educates them about their employment rights and responsibilities, as well as the consequences of not complying with our laws” – a part of MOM’s strategy to reduce illegal employment. As for Christopher de Souza’s question on “whether the quantum of penalties for workplace safety and health and quantum of compensation for work injuries will be reviewed to promote workplace safety”, Lim responded that there is “no need at this time, to consider further raising the maximum penalty under the Workplace Safety and Health (WSH) Act”. The WSH Act had introduced a maximum penalty of $500,000 for failing to take reasonably practicable measures to ensure workers’ health and safety, which is an increase from the $200,000 penalty under the old Factories Act1. Lim added that the compensation limits for death, total permanent incapacity and medical expenses under the Work Injury Compensation Act were “increased by between 20% and 30%” from 1 January 2016, to keep payouts in line with rising incomes and healthcare costs. Answering to Christopher de Souza’s other question of “programmes and initiatives (that) have been created to assist Singaporeans to secure employment”, the Minister further explained on the initiatives taken to do more for the PMETs (professionals, managers, executives and technicians). “We also provided extra support for mid-career PMETs aged 40 and above who are unemployed for more than 6 months. The Career Support Programme (CSP) was introduced a year ago to help them with wage support.” said Lim.